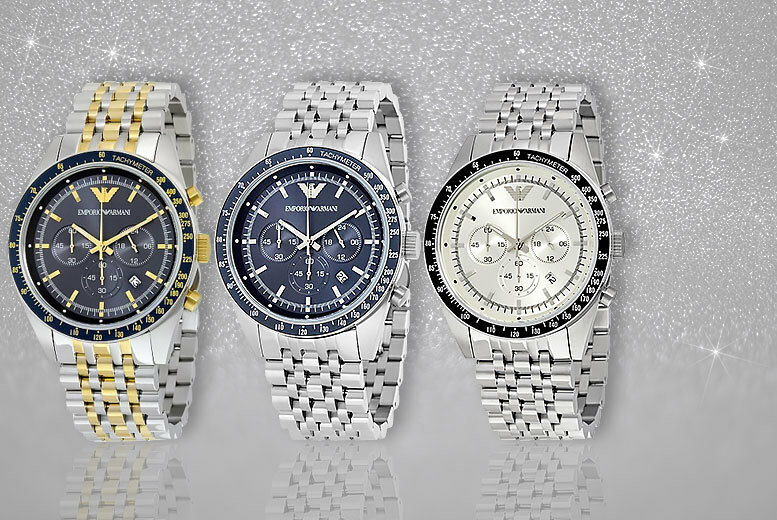 Get a men’s Emporio Armani watch. Choose from three fabulous styles. Boasting a seriously sophisticated stainless steel seven-link bracelet. With a smooth chronograph dial in either blue, white or grey. The perfect gift for him this Xmas!